First, Obama refused to obey the courts to put a halt to illegal immigration and now this. This is indeed a very, very big deal. It virtually allows anyone to vote. You don’t have to prove who you are or where you are from. Voter fraud much? This means you could vote endless times. It also means that the Marxists can bring foreigners in to rig the vote anywhere they want. It’s a Marxist’s dream come true and something I have been warning on for years. When Obama violated our laws and Constitution by basically erasing our borders on immigration, he envisioned an all-you-can-vote buffet of Marxist voters that would keep Progressives in power here in the US indefinitely. And a lazy, apathetic America let him do it. Here it is – corrupted, manipulated voting for the world to see. It does a dictator proud. 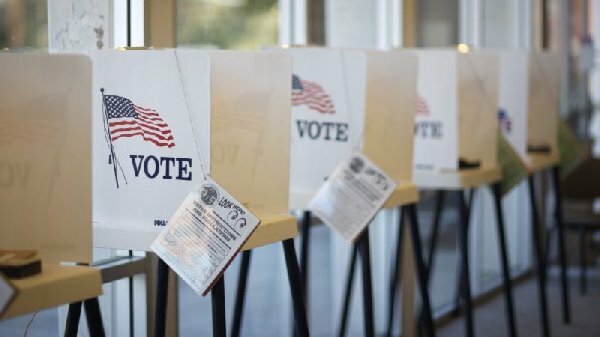 The Supreme Court on Monday effectively upheld a lower court’s ruling that potential voters do not have to provide proof of citizenship when registering to vote with federal forms. Kansas Secretary of State Kris Kobach led the suit against the U.S. Election Assistance Commission after it denied the state’s request to have would-be voters prove their citizenship while registering with a standardized federal form. Arizona, which also has state laws requiring voters to provide proof of citizenship, had joined the suit against the commission. But the Supreme Court refused to hear the case, effectively upholding the 10th Circuit Court of Appeals 2014 ruling, which leaves both states with no effective means of verifying the eligibility of voters who register with federal forms. Liberal “voter advocacy” groups celebrated the court’s decision, saying citizenship requirements are too much of a burden for many voters. “Citizens can continue to participate in voter registration drives without worrying about not having proof of citizenship documents,” said Shirley Sandelands, of the League of Women Voters of Arizona, according to the online blog Roll Call. “This is an important win for the National Voter Registration Act and an important step forward in making sure that all [who] are eligible are registered to vote,” President of the League of Women Voters of the U.S. Elisabeth MacNamara said in a statement. The Supreme Court’s refusal to hear the case preserves the loophole that allows potential voters to avoid having to prove their citizenship status when registering, leaving many conservatives worried about the integrity of voter registration drives led by liberal activists. Kobach, however, said Kansas would not give up the fight to ensure only citizens are registered to vote. Kobach is right when he says that every time an illegal alien votes, it nullifies the vote of an American citizen. And that is exactly what was intended by Obama. The Supreme Court’s refusal to hear this historic case handed massive political power to the Progressives and Barack Obama. The Supremes did not do this blindly either, I believe. It was a cognizant action by a majority of the Court and it is treasonous. This is cultural Marxism in action and a huge win for the enemies within. If this stands, our votes will mean nothing as the elections will be predetermined as they are in communist countries around the world. The States will not quietly let this happen and this battle is far from over, but this is yet another dark day in American history – one we will regret deeply.